Women in Jeans. Now thats A Fashion Statement! Rain or shine, day or night, you'll never face a dilemma with your favourite pair of jeans on. It doesn't just make you look good, but it also enhances your style and portrays your confidence. I for one have always had a thing for women who picked out the perfect jeans to match their figure. A little bit bold and classy with the right styling on. The denim jeans have been around since like, a long long time ago. 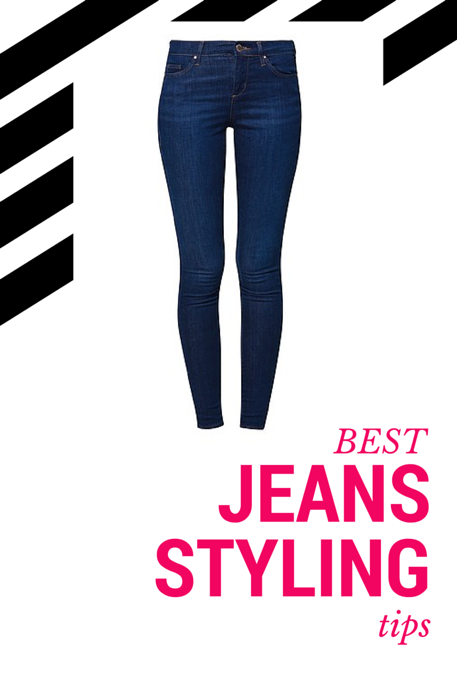 Here you can find a basic guide of best jeans styling tips that every woman out there needs to know. Well you might already have your own style but hey, why not enhance it. Keep on reading Ladies! Remember how Carrie Bradshaw used to joke around about scrunchy with her ex Burger? Well, she might be right about it, but when it comes to jeans she also knows it well that scrunching your denim up at the knee is another brilliant way to style your jeans instead of always cuffing them. According to her a poncho and a fedora are the easiest way to dress up your casual wear. Looks nice for a weekend outing with your boyfriend hey! The best fashion secret the Bad Blood singer has ever learned is most probably ‘less is more’. She is seen in a coloured denim which turns to be greatly matched with neutral, subdued shades. If you happen to have a petite figure like her, rolling up the length of your jeans could help you from looking swallowed up in the denim. Try this tip and you might find it useful! The young supermodel is smart as she knows what would work on her. Winter whites are a refreshing change from your usual clothings! Try to team them with a vibrant luxury handbag for a good statement accessory. Let’s say if colour is not really your thing, you can opt for a monochromatic grey outfit. It could shake things up and rock your whole look. Now Turn On Your Style! Rock Your Business Singapore & Malaysia – Play a Bigger Game.